Get your FLIGHT on Friday night at Riverfront! 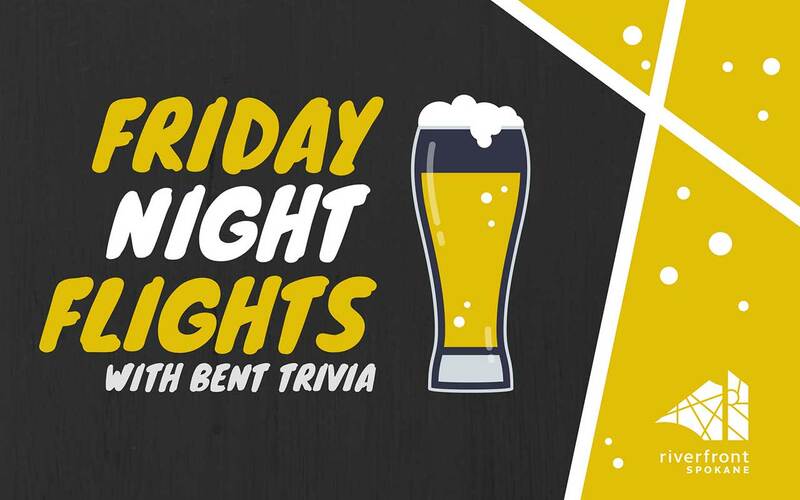 Join us at our newest family friendly event featuring trivia from Bent Trivia, local food trucks, and beer flights from local breweries (different breweries and food trucks each week!). Participants will receive $1 off rides on the SkyRide over the Falls with views of the second longest urban falls in the United States, and $1 off our newest attraction, the Spider Jump! Meet at the Sky Ribbon Cafe patio from 5-8pm on the scheduled dates.